PHCC is Plumbing-Heating-Cooling Contractors Association based in Falls Church, Virginia. Simpalm was hired by PHCC to develop a “Water Supply Calculator” App. The Water Supply App has mainly two calculators: ‘Water Supply Calculator’ and ‘Fixture Unit and Fitting Calculator’. 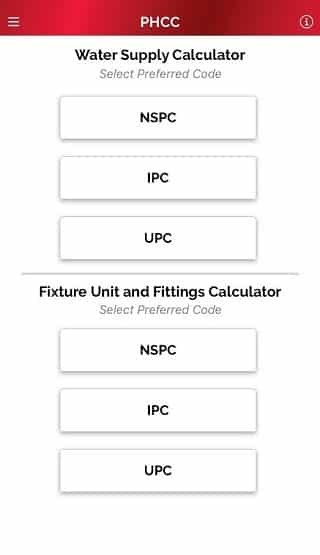 The Water Supply Calculator app offers PHCC members a single resource to determine water supply fixture units and minimum fixture branch sizes for common plumbing fixture, typical pressure drop in meters, and equivalent length of fitting. On the other hand, a Fixture Unit and Fitting Calculator allow user to input a fixture unit demand, resulting in suggested pie size, determine GPM demand, pressure drop and velocity in Type L copper pipe. The PHCC app was built on iOS and it can be downloaded from App Store. Members can use ‘Water Supply Calculator’ to determine various measurements. Members can use ‘Fixture Unit and Fitting Calculator’ to determine various measurements. Members can access directory for information and resources. Members can access PHCC event information. Member can access PHCC store. Members can share app on Facebook, Twitter and LinkedIn. PHCC is national organisation and represent thousands of shop contractors and technicians who are working in plumbing, heating and cooling industry. These contractors and technicians have to take measurements of various aspects of the devices on the site and do the necessary calculations. They were using pen, paper and calculators to do such things. PHCC contacted Simpalm and asked how we can automate these processes. 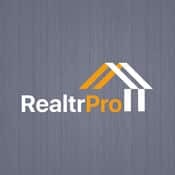 We gave them all in one solution with a mobile application. PHCC had not worked on a mobile app in the past, we assigned UI/UX designer to create the design so that client could visualize how the app would look like. Once client had approved the design, we developed the apps on iOS and Android with our QA provided the testing services. 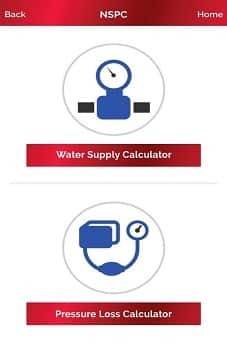 The PHCC Water Supply Calculator app was developed with two calculators and a membership engagement tool such as PHCC directory. Calculators inside app, allow PHCC members to input data and determine various aspects like fixture unites, fitting length, typical pressure and velocity of water supply. PHCC has tools like Water Supply Calculator, Fixture Unit and Fitting Calculator, PHCC directory, Social Sharing and several other Capabilities.